The Residence Les Cordeliers is located in the historical centre of Avignon, 5 minutes' walk from the central train station. It offers studios and independent and comfortable apartments, apart’hotel style, an ideal compromise between a hotel room and a private rental. The amenities of the comfort studio bring more welfare to your stay. 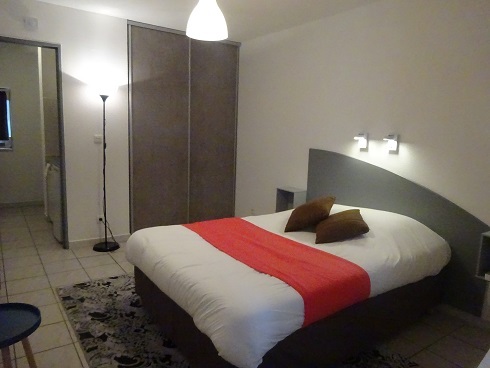 The studios at Residence Les Cordeliers have a main room with a double bed, a shower room with toilet and a fitted kitchenette space. TV, internet wifi, desk, wardrobe, living room area. Kitchenette with refrigerator, microwave oven, hotplates, household appliances and kitchenware. The shower room is equipped with dry towels and cosmetics.